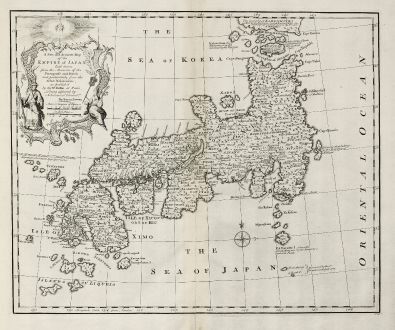 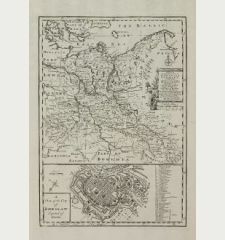 Bowen's map of Japan from 'A Complete System of Geography'. 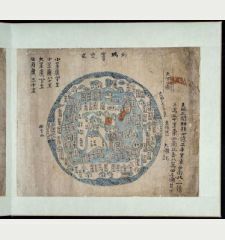 With an elaborate allegorical cartouche and a compass rose. 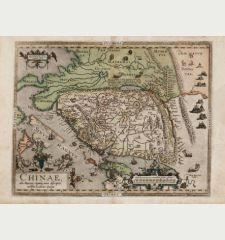 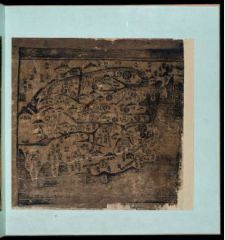 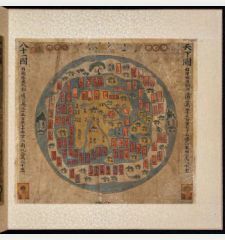 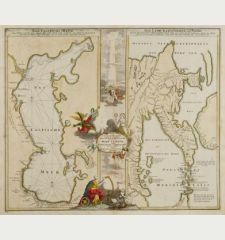 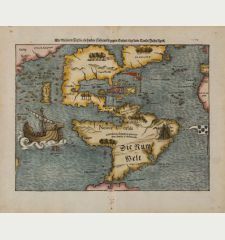 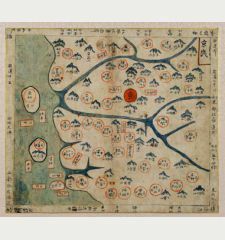 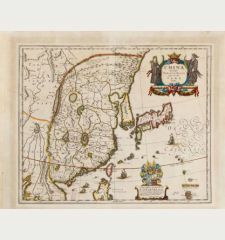 The way in which the area to the north of Honshu is depicted is noteworthy, as is the inclusion of the Land of Dwarves, seen in so many Japanese maps of the period. 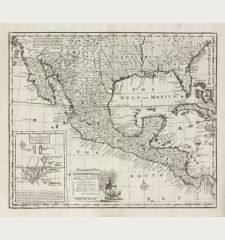 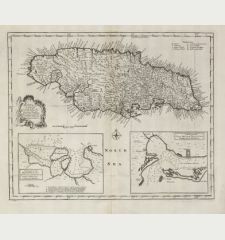 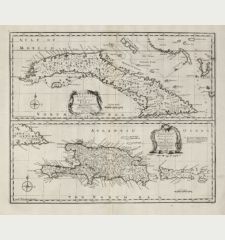 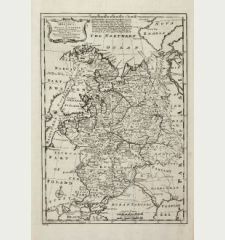 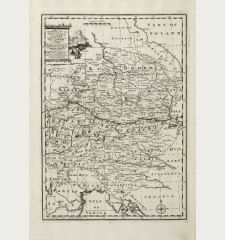 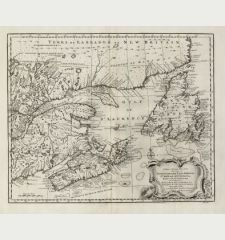 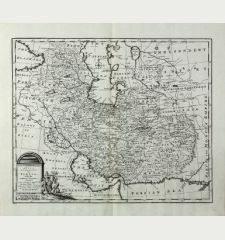 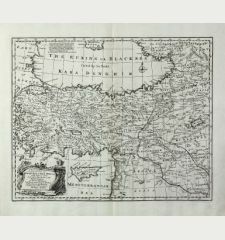 Closely modelled on Nicolas Bellin's map of 1735. 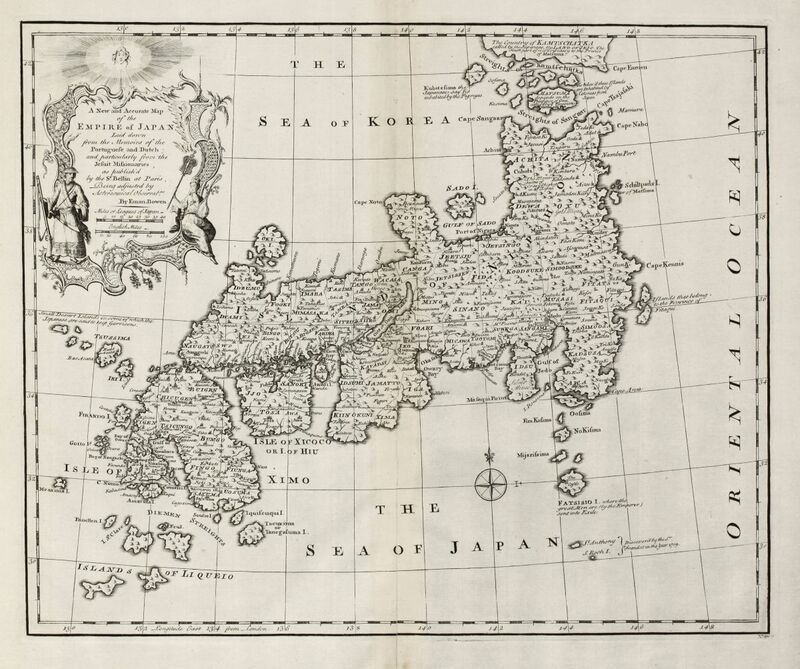 The map is of interest for the use of East Sea, the sea between Korea and Japan, here called 'The Sea of Korea'. 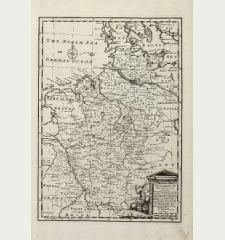 Evidence of two old vertical folds, lower half of centrefold backed.